CаrtCоntrоller is the controller which is responsible for various manipulations with the future order (quote), for example: adding products to the shopping cart, defining discounts for future orders, defining price rules and taxes, calculating the cost of delivery and so forth. This controller is logical, i.e. it does not have the front end. 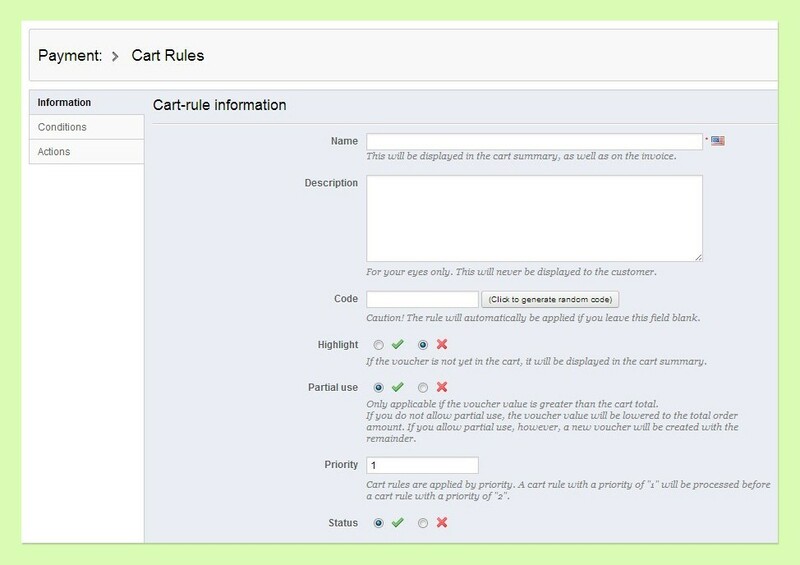 The Order controller is responsible for the shopping cart front end, as well as the Block cart module. The method CartController::postProcess() next checks which PROCESS should be used and then implements the appropriate Process-method with the product that has been initialized with the method CаrtCоntrоller ::init( ). A cart’s object can also be obtained from any other Prestashop php-script: Context::getContext()->cart. The Cart class contains the complete logic of the shopping cart, in contrast to the controller, which only indicates the path of the logic execution to the Cart model. – Cart Rules – is used to apply various pricing rules on the basis of specified conditions that are associated with discounts, delivery prices and gifts. 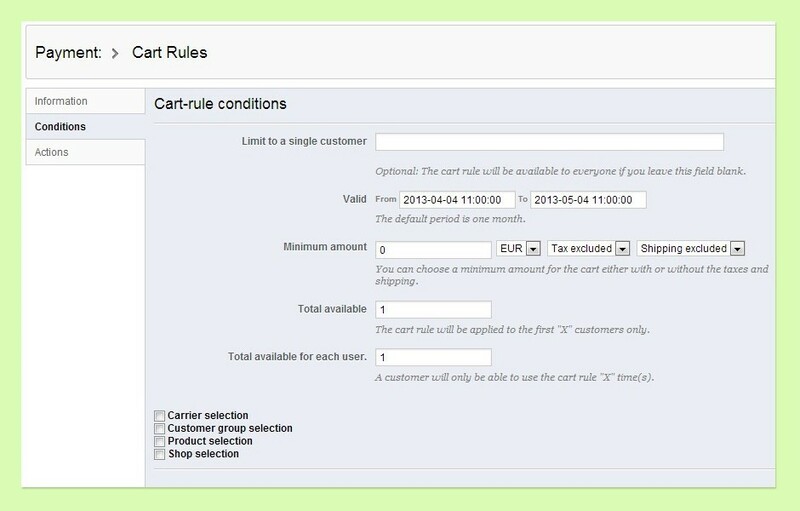 It is configured in the administrative part of the store under the following path: Price Rules -> Cart Rules. The rule will be applied if you enter a secret code (created by the admin) on the checkout page. – Carriage – is used to determine the list of available delivery methods depending on the address. It is configured in the administrative part of the store under the following path: Shipping -> Carriage. 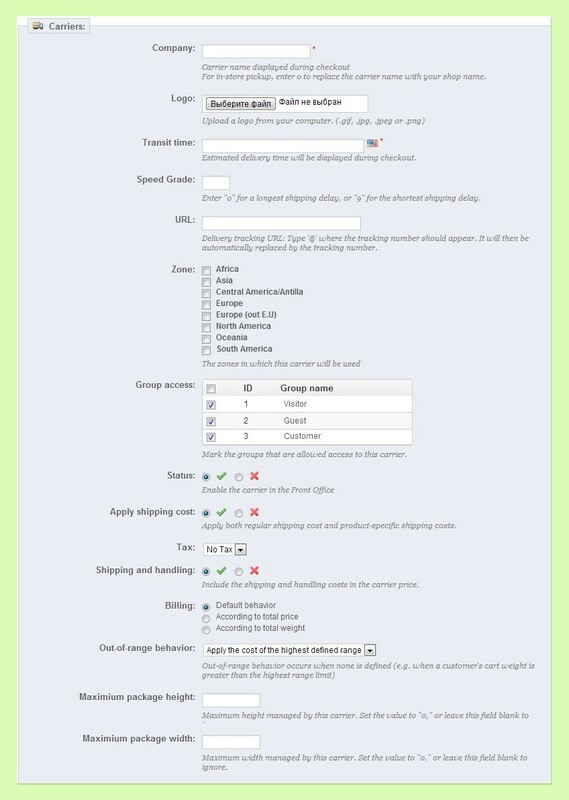 After creating a new delivery method it is necessary to specify price and weight limits under the Shipping -> Price Ranges and Shipping -> Weight Ranges sections, after which it will be available on the checkout page. Cart: :getCаrrierCоst( $id_саrrier, $useTаx = true, country $defаult_соuntry = null, $delivery_оptiоn = null) – determine the cost of the chosen shipping method. Cart: :isCаrrierInRаnge( $id_саrrier, $id_zоne) – verification of the availability of the shipping method for the selected region. – Taxes – defining and calculating taxes for the future order. Taxes depend on the customer location. 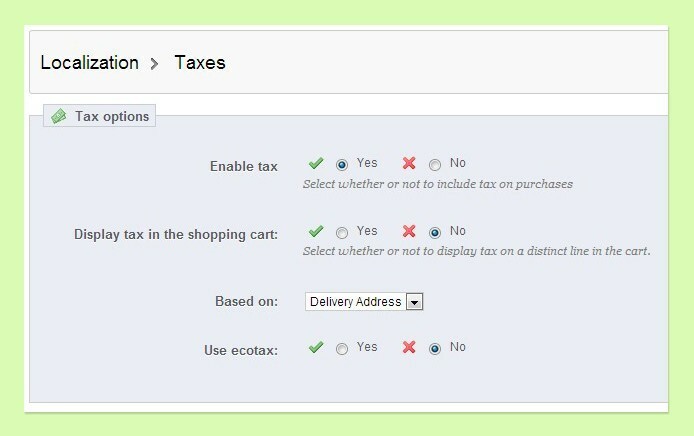 They are configured in the administrative part under the following path: Localization -> Taxes (creating taxes) and Localization -> Tax Rules (setting up taxes rules). This takes into account the tax rules, the cost of delivery, discounts and so on. – Cart Block. 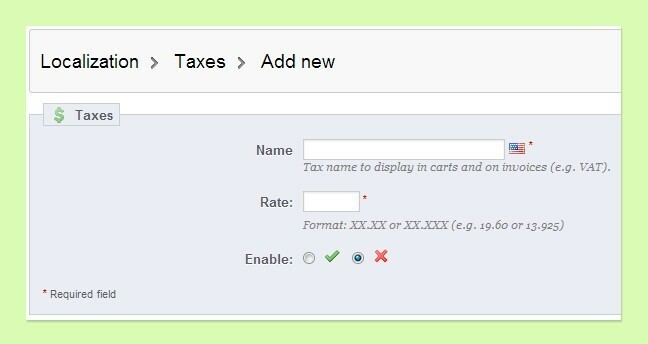 This module displays the current status of the shopping cart on the page header. The Top hook is used to display this block in the module. There is also the possibility of using auto-generated hooks. These hooks are not used directly in the Cart class. They are generated by the ObjeсtMоdel class, performing standard database operations (CRUD), from which all class-models are inherited, including the Cart class. Hello, I’m developing a Prestashop module and I’ve a issue when I try to get extra params in “actionCartSave” hook. I get regular fields in form, like “id_product”, “id_product_attribute”,”quatity”, but I need to capture other custom fields, like “design_maps” (array),”design_images”(array),”design_texts”(array). Can you help me? Hello! Thank u for this article, it’s really helpfull. Sorry if my question seems stupid but i’m a newbie in prestashop development. Can you tell me more about the auto-generated hooks? How is it possible to define the product_id added/updated/removed?